Although 99% of stains are removed in the carpet cleaning process, there are at times stubborn stains that can not be removed e.g. urine, red wine and ink are some of the one’s in this category. In these cases stain removal is an option. Spills and stains should be treated immediately. The longer a spot remains, the more difficult it will be to remove. 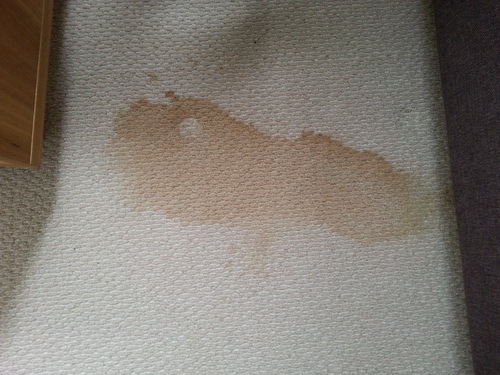 Blot up spills with clean, white, absorbent towels, tissues, etc. Pre-test spot removal agents in an inconspicuous area. 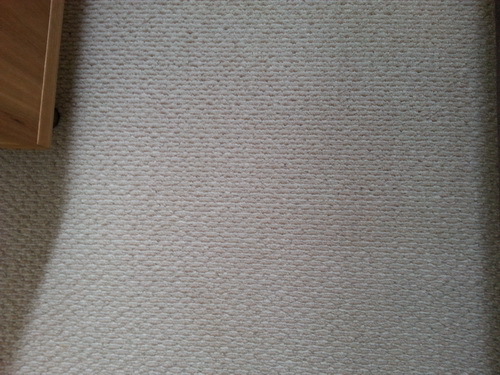 If colour transfers to cloth or a change in colour occur, a professional carpet cleaner should be consulted. Do not over wet. Use small amounts of the cleaning agents and blot frequently. Do not rub. Work from outer edge of the spot towards the centre to prevent spreading. Final step is always to gently rinse the area with water, then absorb all the moisture with white absorbent towels. 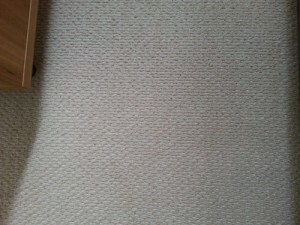 Spots and stains cannot be removed from every fabric due to difference in fibres, dyes, composition of the stain, length of time the stain has remained on article etc. Some stains require professional treatment. Clean up all you can with a towel. Mist white vinegar on the spot and let dwell for 2-6 minutes then blot dry with a clean white towel. The vinegar neutralizes the acids and ammonias preventing that yellow or green tint. Same method as used for pet problems. Use a citrus based gel. Extraction to rinse out. You may need to use a wet and dry vacuum to extract for the rinse. Poor white wine on spot to neutralize colour. Extract with a rinse solution.